The basic item of underclothing for a woman in the seventeenth century was the the smock, or shift. For a while the two names were synonymous, but by about 1660 the word smock faded out of use as it had become to have shady connotations. 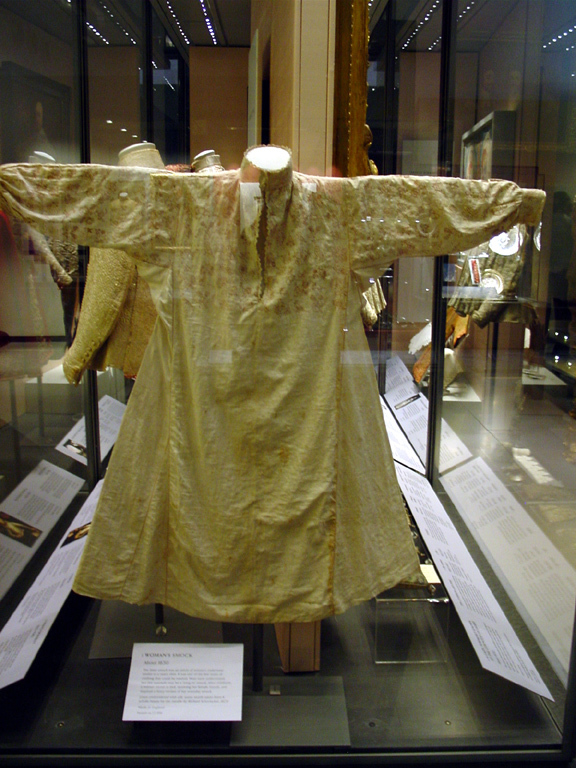 Whatever they called it, it was a long T-shaped garment, made of linen with sleeves, reaching down to below the knees. As with most linen garments of our period, the only surviving examples are of the best quality cloth and are highly embroidered. However, it’s probably safe to assume that the pattern was basically the same for everyone, although some portraits suggest that a low neckline would have been worn with lower cut bodices and perhaps with other clothes. It’s tricky to tell what is worn beneath a folded kerchief. The purpose was probably the same too, to protect the outergarments that would tend not to be washed as often from body oils and perspiration. 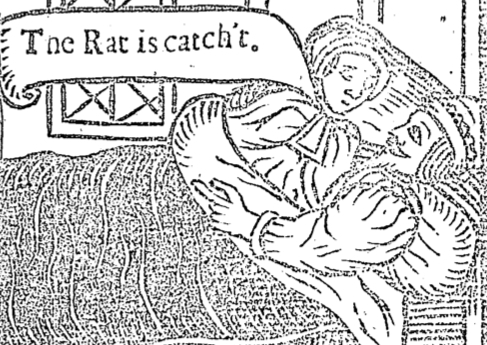 Picture left from A Juniper Lecture by John Taylor 1639. 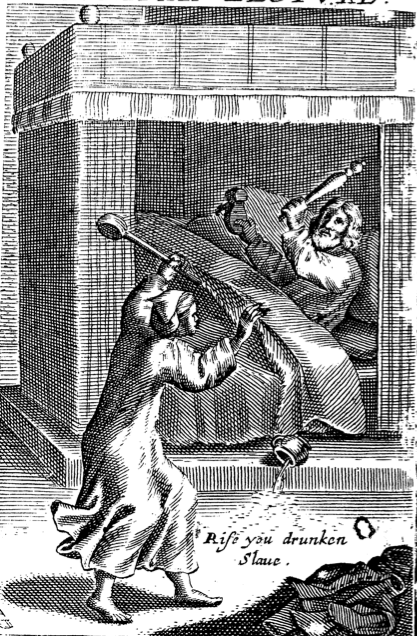 The extant smocks from the first third of the seventeenth century mostly have a standing collar, a single slit neck opening and long fullsleeves. Sadly there are none exactly datable to the 1640s, but these examples are a good guide to what was worn. This one in the V&A, picture from Drea Leed of Elizabethan Costuming is a nice one dated 1630 with a standard pattern and embroidered over the upper body. Much like a man’s shirt, they would be cut from a standard width of linen, anything from 30 to 36 inches wide. 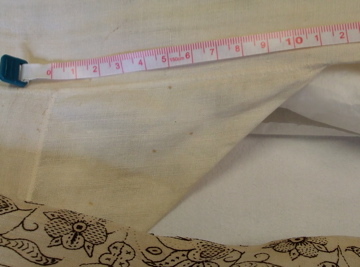 There is usually, like this example, a square gusset under the arms, but unlike a shirt there are either long triangular gores inserted in the sides or a looser cut to make the garment fuller and as such easier to walk around in. The V&A example also has a gusset inserted either side of the collar to provide strength. 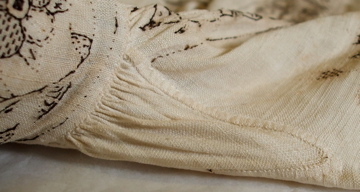 Here are two photos from the Bath Costume Museum showing a shoulder and underarm gusset. 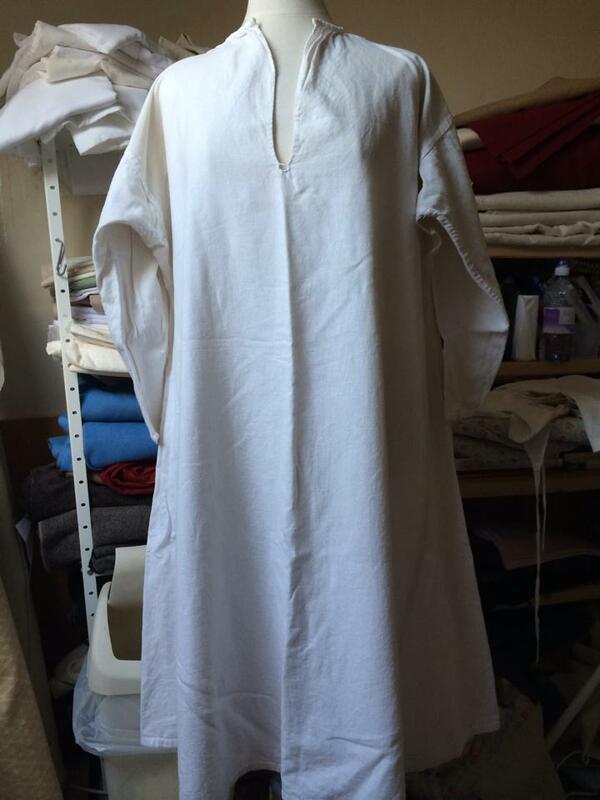 This is an early smock too, dated to 1610, but definitely the style still being worn in the 1640s. 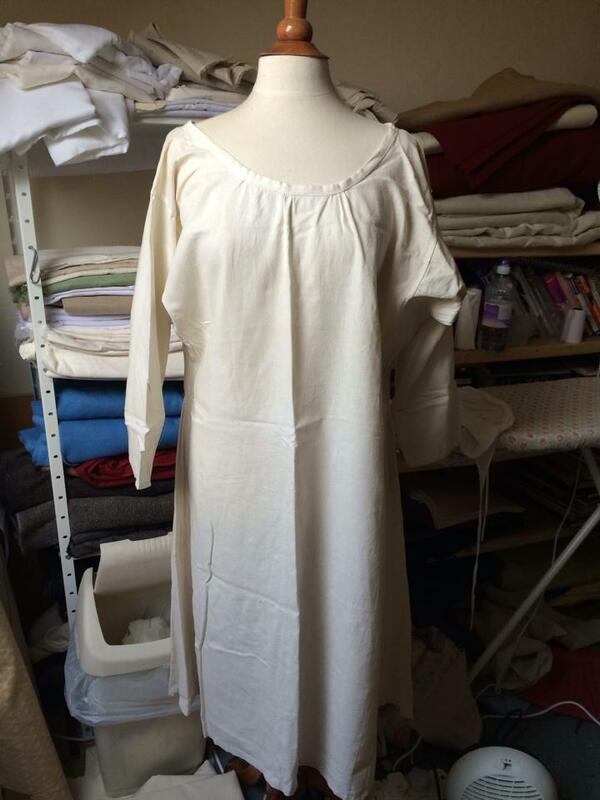 These pictures show two plain (in the sense of undecorated) reproduction smocks from the 1642 Tailor. On the right with a high neckline and on the left with a lower, more scooped line for wearing with a low cut bodice.